Color Me Happy...: Frilly and Funky Challenge....the Warmth of Winter. Frilly and Funky Challenge....the Warmth of Winter. 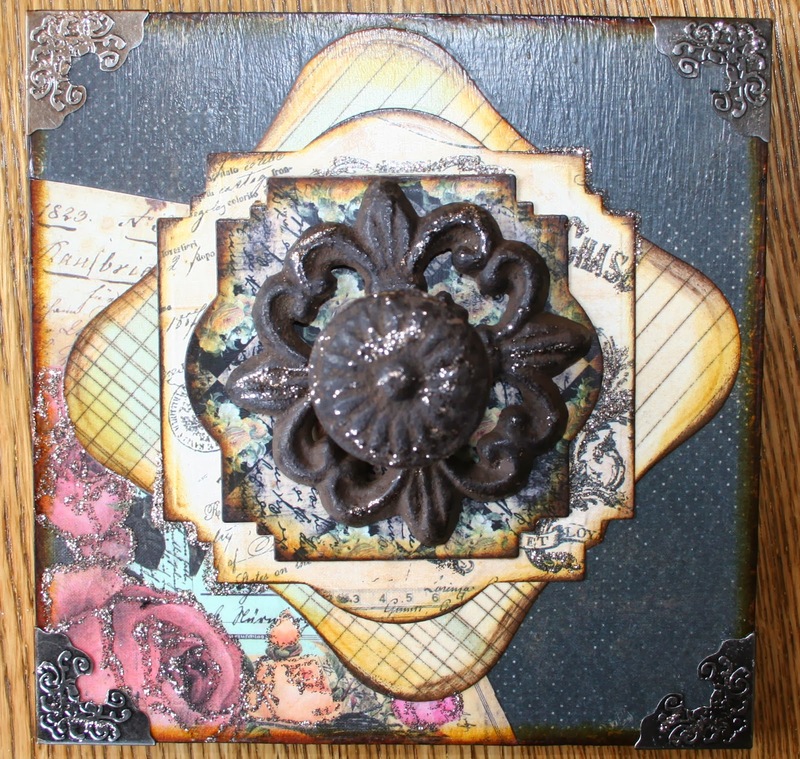 I use inexpensive paper mache' tiles from Hobby Lobby that I "pre-treat" with ModPodge. I then start to assemble the layers again using MP. 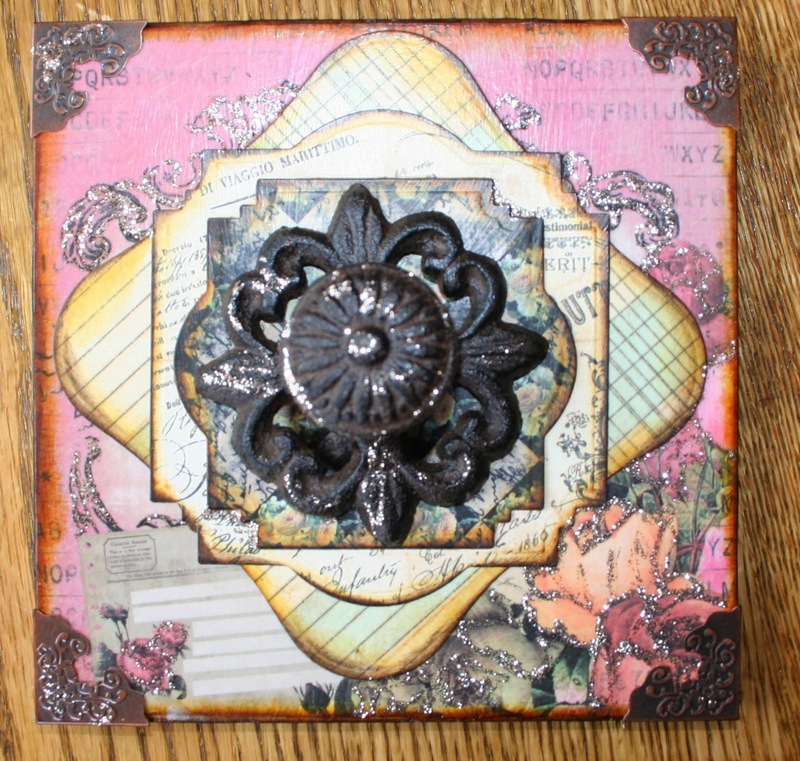 I also used a mirror like sheet of product from Tim Holtz to stamp and creat the faux mirror in the middle of the third tile. I also too some pink foil, embossed and then inked and added sparkling H2O to it to give it a more metal like appearance. The cabinet knobs are also from Hobby Lobby...I usually wait until they have some sort of sale and then pick up several that I like. So, with out further ado here is my entry into the Frilly and Funky The Warmth of Winter Challenge! I really love how these turned out and am so happy that Clarice loves them too! I hope to make more for some of the friends of Clarice and Bessie...it is a nice project to turn to when I have a bit more time on my hands. Thanks for stopping by! Hi Sheila! It was cold here too but not nearly as frigid as the temps you all endured in the Midwest! After having a pseudo spring for a few weeks winter is baaaaack:(. Your tiles are so creative and cool! What a great project - I love these tiles - so unique. What a wonderful way to display handmade art - definitely art from the heart. We're delighted to have you joining in the fun with us this time around at Frilly and Funkie! How lovely. These certainly will make her feel warm and fuzzy in this brutally cold weather, especially knowing her Mom made them just for her. Thanks for joining us at Frilly and Funkie.